Phillips‘ inaugural New York watch auction in October has grabbed headlines for the Rolex “Paul Newman Paul Newman” Daytona, but fortunately the sale will also include examples of fine watches for collectors who are otherwise inclined. 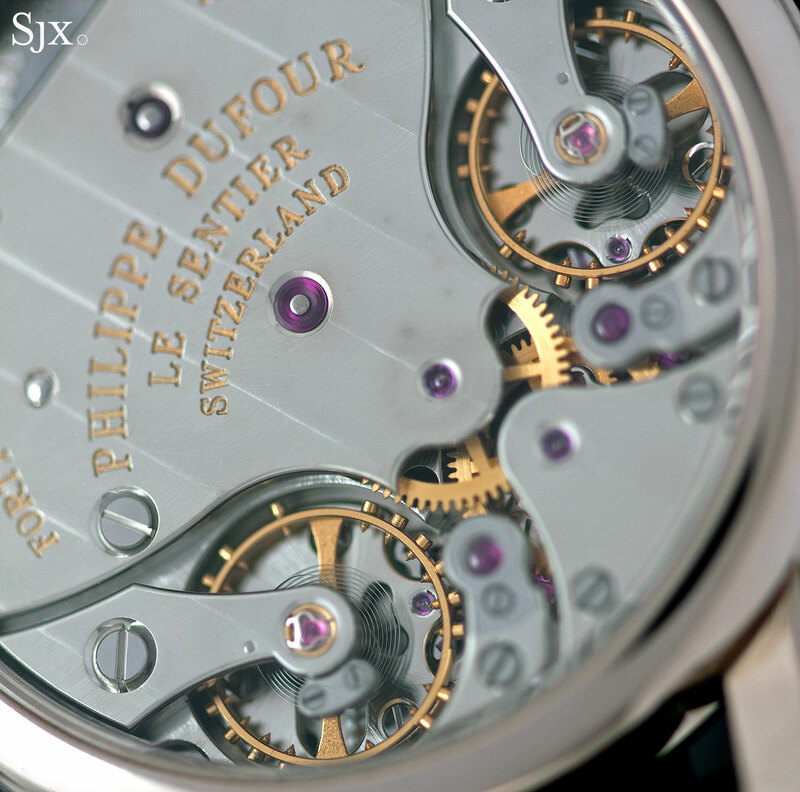 Arguably one of the most significant contemporary watches in the sale is the Philippe Dufour Duality no. 00 in platinum. It will only be the second instance a Duality has been offered at auction, though strictly speaking it will be the only one that’s ever surfaced publicly, since no. 00 the same watch that was sold previously. Perhaps Dufour’s most interesting and definitely his least understood watch, the Duality was launched in 1996, four years after Dufour unveiled his grande et petite sonnerie wristwatch, and a few years before his famous Simplicity. Equipped with twin balance wheels linked by a differential, the Duality is amongst the watches cited as the basis for the recent MB&F LM2 and Greubel Forsey Double Balancier. 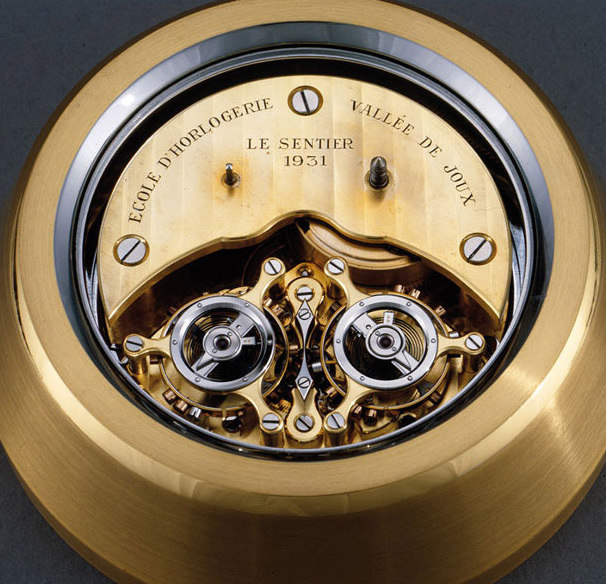 Though double regulator watches have a long history going back to the 19th century with Abraham-Louis Breguet and Antide Janvier, Dufour’s inspiration for the Duality was more recent: a 1930s double regulator pocket watch made by a student, or students, of the Ecole Polytechnique de la Vallée de Joux (EPVJ) and the Ecole d’Horlogerie of Le Sentier – Philippe Dufour’s home town. It is believed only 10 or so such pocket watches were made by pupils at the technical colleges during the 1930s. 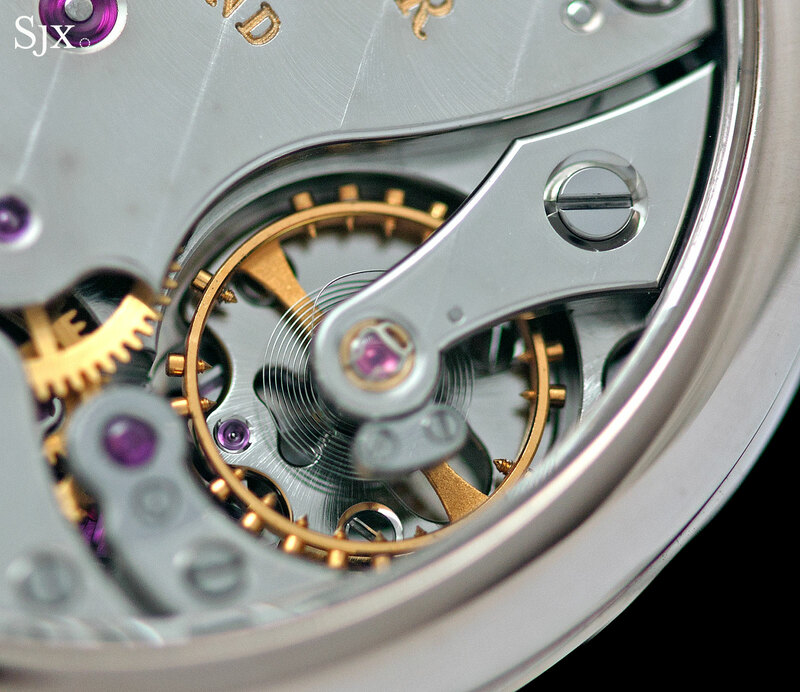 The premise of a double regulator is better timekeeping by averaging down – each escapement ticks independently, but the potential errors in each are averaged down thanks to the differential linking the two. A surprisingly complex creation – the differential alone is 21 components – the Duality movement is nonetheless compact and thin. The watch itself is a mere 34mm in diameter. 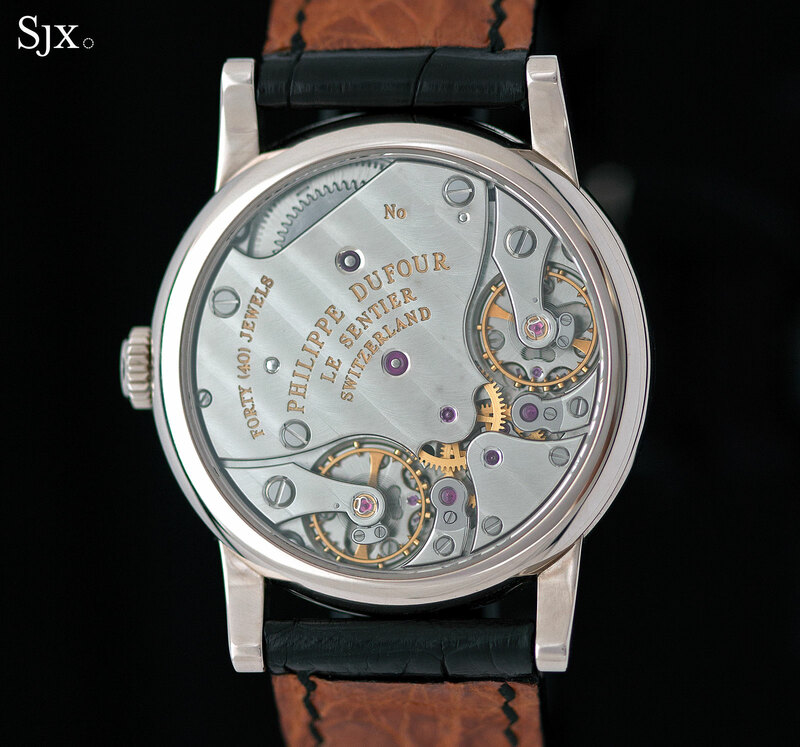 Originally envisaged as a series of 25 watches, the Duality stopped at nine watches. Amongst the reasons Dufour has cited over the years for discontinuing the Duality was the fact that F.P. 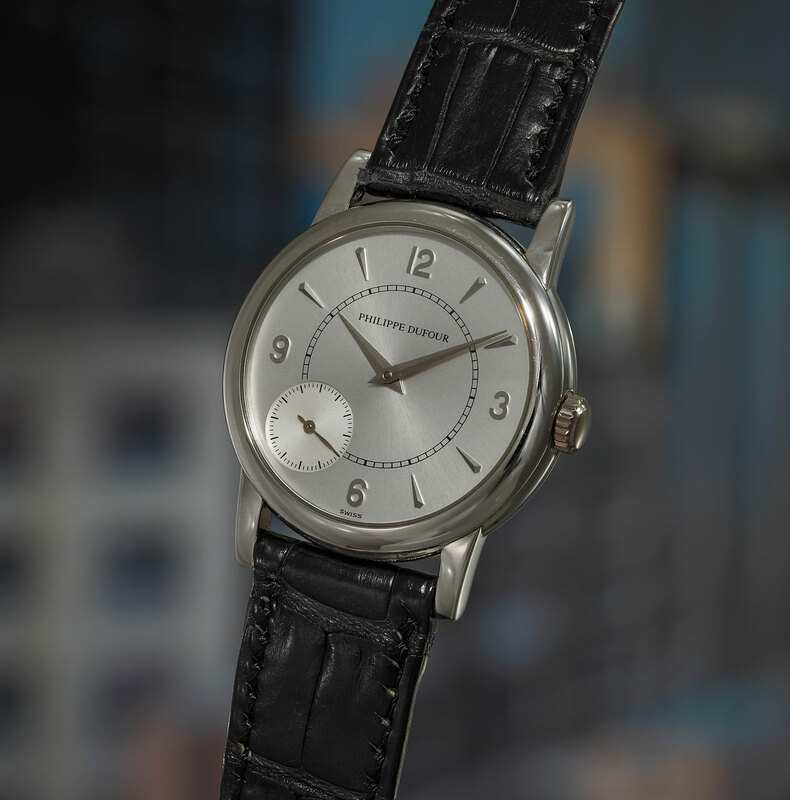 Journe was making the Resonance – a superficially similar watch but one operated on completely different physical principles – as well as the fact that he had the Simplicity wristwatches to deliver. The platinum case no. 00 that will go under the hammer in New York is the very first Duality ever made, and the same watch that was sold at Christie’s almost exactly 10 years ago for SFr180,000, or about US$190,000 at today’s rates. Complete with the original boxes and paperwork, the Duality is being sold by the noted collector who purchased the watch at Christie’s and who also kindly granted permission to publish this news. The estimate on the Duality is US$200,000 to US$400,000, and it will be sold during the New York auction on October 26, 2017. With the three examples of the Simplicity each having achieved just shy of US$260,000 at auction last year, the Duality should finish comfortably north of US$400,000 fees included, even passing the half million mark on a good day. Photos of the watch on sale will be available once the auction catalogue is published.